The Principality of Monaco boasts more than its fair share of luxury real estate. 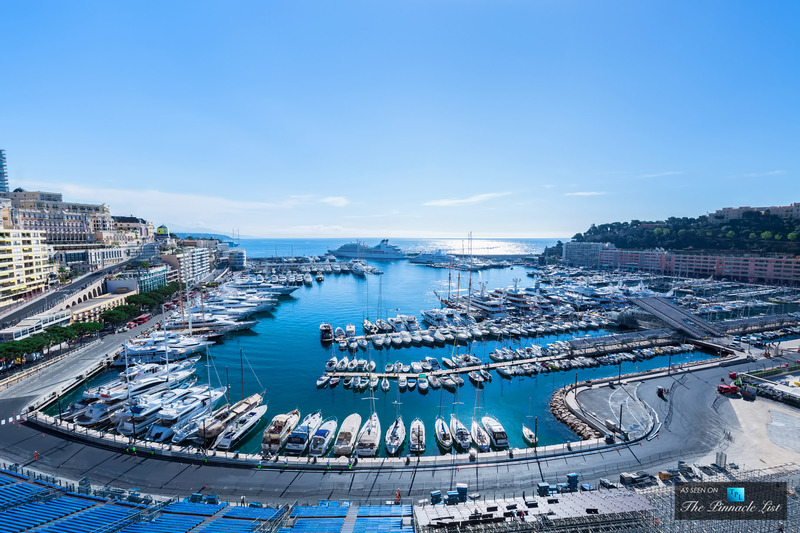 Between the breathtaking stretches of coastline that discern Monaco from France, there is an abundance of unique and alluring architecture, in amongst which is a tantalising number of exquisite penthouse apartments for sale for those seeking an exclusive new place to reside. The following selection details four such hidden gems – each of which offers awe-inspiring views, stunning interiors and exciting individual features. Casino lovers will be enthralled by this striking penthouse, which overlooks the famous Monte-Carlo casino – an added bonus to its panoramic sea views. Having recently undergone a lavish interior makeover, it has a characterful monochrome décor, which is full of outstanding design features. No fabulous Monaco apartment is complete without a sea-facing terrace, and this is no exception; its open terrace includes a spacious seating area and summer kitchen. Located close to the golden sands and azure waters of Larvotto beach, this remarkably spacious duplex near the beach is spread across two floors and includes 4 plush bedrooms, as well as 4 elegant bathroom suites. The ornamental staircase, which links the upper and lower floors, makes a lovely statement feature and adds to the sophisticated, tranquil feel of the residence as a whole. A short distance from the Casino gardens and Metropole shopping centre, the property makes a superb private retreat. It is set in a vibrant area, atop a stylish and modern building. It is not often you see a penthouse apartment with a private pool in such a prime location – the height of luxury, you might say. Nestled in the heart of the Golden Square, this property is exceptionally dazzling, and boasts a total of 10 rooms, including 5 ensuite bedrooms. Despite the triple living room and elegant dining room, the rooftop pool simply has to be the highlight of this property, with its unrivalled views across the Mediterranean Sea. With a prime location and breathtaking views, this graceful portside penthouse is likely to enchant prospective buyers from the instant they step out onto the spacious terrace. It faces onto the Port of Monaco and offers a spectacular view from Italy to the Rock. It is pleasingly spacious with a total of 4 bedrooms and 3 bathrooms. The terrace has a summer kitchen and Jacuzzi, making it the perfect apartment for entertaining or simply relaxing and enjoying the sensational location. Residents of this penthouse enjoy the use of 2 cellars and 2 parking spaces.